Happy New Year everyone. Obviously the biggest news in December, 2012, was the CFR hack over the Christmas break. It utilized an IE7 0day. The second biggest newsmaker was the announcement by the DOJ to indict foreign entities for state sponsored attacks. Iran is making claims of another cyber attack akin to Gauss, Flame and Stuxnet. Hoping everyone has a healthy 2013. Computer hackers traced to China carried out an advanced cyberespionage attack against one of America’s most elite foreign policy web groups – the website of the Council on Foreign Relations (CFR). According to private computer-security forensic specialists, the hacking incident involved a relatively new type of ploy called a ‘drive-by’ website cyber attack that was detected around 2:00 p.m. on Wednesday. Security researchers have discovered a targeted attack against Russian hi-tech firm that appears to originate in Korea. The “Sanny” attack* is malware-based and geared towards stealing login information from Russian telecommunications, information technology and space research organisations. The first stage of the assault features a malicious Russian language MS Word document designed to drop malware onto compromised PCs. This establishes a backdoor on infected machines, establishing a botnet in the process. In an intriguing push against the ever-increasing number of foreign-governments sponsored cyber attacks against U.S. companies, the U.S. Department of Justice intends to turn to its roots with an old-fashioned tactic that has worked against the mafia, drug traffickers and white collar crime: criminal prosecutions. In its first comment on the apparent purpose behind the August Shamoon attack on Aramco, Saudi Arabia said Sunday that it was an external attack not just against Aramco, but against the Saudi economy. Iranian computers are facing a fresh threat from a newly unleashed “targeted data wiping malware” dubbed as Batchwiper. Although the virus appears not to be as devastating as the previous ones, it threatens to wipe out the data from the infected computers. An alert has been issued by Maher, Iran’s Computer Emergency Response Team Coordination Centre (CERTCC), saying the malware is thought to be present in the country’s computers for at least two months. In August 2012, hackers attacked the networks of Saudi Aramco, destroying data on some 30,000 of the company’s computers. Then in November, Chevron revealed that it had been infected by Stuxnet, the malware the United States and Israel had allegedly designed to slow Iran’s nuclear program. Some U.S. policymakers and analysts have suggested that the attacks originated in Iran as retribution for the sabotage campaign. Those who claimed responsibility said that they are a hacking collective, with no ties to Iran, angry about an anti-Islam film posted on YouTube. The United States’ options for dealing with the breach differ depending on whether the attack on Saudi Aramco was the work of political hackers or state-directed and part of an escalating cyberconflict. Crafting such policy will not be possible without conceptual clarity, and the works below strive to define actors and interests, means and methods in cybersecurity. 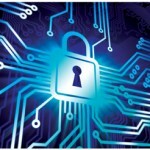 With 2012 coming to an end, here are some of the larger trends to watch in Chinese cybersecurity in the upcoming year. This article will focus on the applicability of international humanitarian law (IHL) on cyber network attacks (CNA). It will try to construct the parameters into which CNA can be confined and regulated by laws of armed conflict. In IHL, there is no specific mentioning of CNA per se, but it is increasingly becoming important to look at it from the IHL point of view because of its growing importance in military activities and its potential to gain military advantage in a more cost effective way. When evaluating potential cyber activities, US policymakers have tended to view cyber operations as strictly delineated: offense or defense; espionage or military operations. Reality defies such stark categorization; determining when one type of cyber operation ends and another begins is challenging. Rather than establishing strict categories into which cyber activities are sorted, it may be best to view cyber operations along a spectrum; a proposal for a spectrum of cyber activities is set out later in the paper. This Issue Brief discusses neutrality in cyber space, giving an extended example of how different nations become more responsible for attacks on another nation, which illustrates how four criteria (Severity, Obviousness, Stoppability, and Duration) seem to be critical. Last, the brief explores how ‘commercial neutrality’ on the rights and obligations of companies which have built and own most of cyberspace, may be more important than the neutrality of nations. Throughout 2012, we investigated a variety of targeted attacks including several APT campaigns such as LuckyCat and Ixeshe, as well as updates on some long running campaigns such as Lurid/Enfal and Taidoor. There was a lot of great research within the community related to targeted attacks published this year, and I’ve clustered the research I found to be the most interesting into six themes that I think also encapsulate the trends in targeted attacks of 2012.